Treat Yo’ Self Thursday #2, It’s Bubble Tea Time! 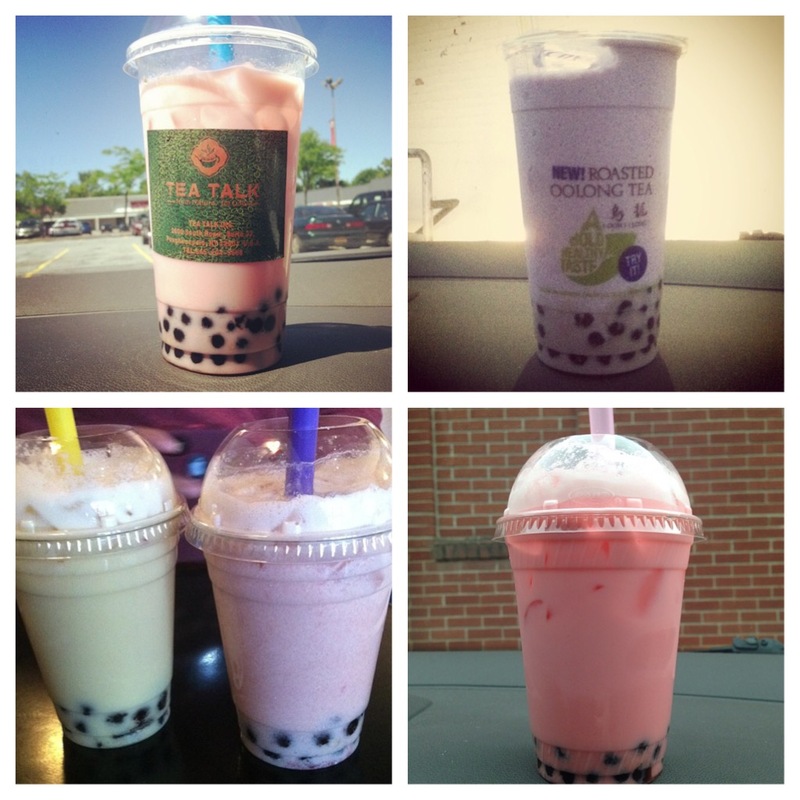 While the average human body may be 75% water, I think mine is 75% bubble tea. This two-in-one drink and snack is a favorite of mine, albeit a sugary one (it’s a caloric black hole). As with any wildly popular treat (baklava, hummus, pavlova), there is debate as to where bubble tea originated; two tea houses in Taiwan both claim ownership over it. One tale is that during a business meeting at Chun Shui Tang tea house, their product development manager (Ms. Lin Hsiu Hui) dumped sweetened tapioca balls from fen yuan, a traditional Taiwanese dessert, into her tea. Her colleagues tried and loved the drink so much, that it was added to the menu. After being featured on a Japanese TV show, it became popular. Hanlin teahouse also lays claim with a story that owner Tu Tsong He Hanlin used traditional white fenyuan, resulting in the alternative name of “pearl tea.” He later switched to the black tapioca balls found today. Regardless of what side you’re on, we can all agree that this drink is delicious. Interested in making your own at home? I recommend following this recipe from The Kitchn. What has everyone treated themselves to today? 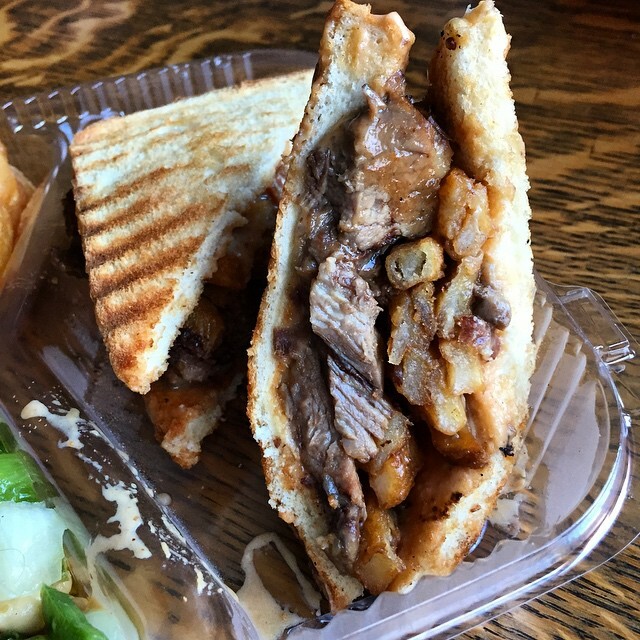 I may or may not have enjoyed a poutine sandwich (yep, you read that right) complete with a sriracha beer cheese sauce (YEP) from The Crooked Rooster, a favorite place of mine. I did show some restraint, and only ate half. Like the photos you see? Follow theencyclofeedia or my personal account lesleyrozycki on Instagram for more delicious shots!